The networks don’t always get things right but CBS programmers had a great idea to move The Big Bang Theory to Thursday nights. The comedy has helped to establish a second night of comedy for the network and it consistently wins in the 18-49 demographic. CBS has now renewed Big Bang Theory for not just one but three more seasons. 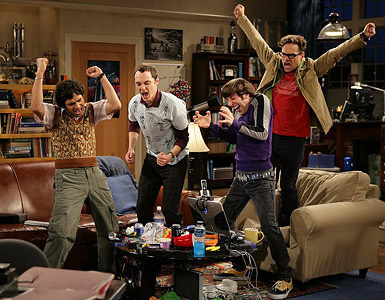 This will take Sheldon, Leonard, Penny, Rajesh, and Howard through the 2013-14 season, the show’s seventh year. What do you think? Are you glad to hear that the show will be around for at least three more years? Do you think it will be time to end the show after seven seasons? When the show does end, they can easily do a spin off with most of the characters if they chose to keep wanting to play their character. I am sure the network would be considering that before the show ends.